Large area rugs are an art form. So why not treat them like it? When you decide to clean your rug, you want it to be cleaned correctly and treated with the utmost care. The first and foremost thing you should do is identify the type of fibers used to make it. 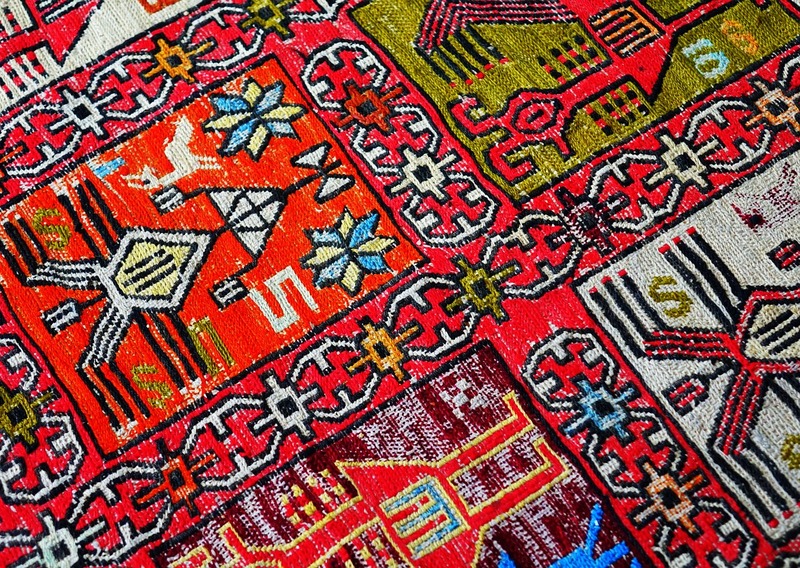 Berber, Oriental, or Persian rugs will be made from very diverse materials and each material will require a specific method in order to clean it properly. A multitude of rug cleaning materials and techniques are available on the market, but how do you know what’s right for YOUR rug? Foam cleaners, powder cleaners, and shampoos can all seem like probable solutions, but a mistake could be costly and damage your rug. While some rugs can be cleaned at home, many will need to be cleaned professionally using machines and specially developed techniques. Many area rugs are not colorfast. This means that most are not designed to maintain their colors without fading or running when they come into contact with liquids. Dye migration, color transfers and fading are all risks involved when attempting to clean your rugs yourself. A professional area rug cleaner knows how to efficiently and effectively prevent color issues using special standardized cleaning methods. Did you know that some area rugs could shrink after cleaning? Some rugs are made from wool, which shrinks during the drying process. Professional rug cleaning companies like ServiceMaster Cleaning & Restoration Services know to follow recommended procedures based on the fibers and materials involved. By acknowledging the unique materials in each rug, we prevent shrinking and even the knotting of delicate fringes. Forcefully scrubbing stains out of a rug can actually cause them to spread to other parts of the rug, causing permanent damage. A delicate process and the right rug cleaning agent can do the job just fine as long as you act quickly. Leaving a stain for too long makes the stain harder to clean as it will set into the fabric. With the proper care and attention, your precious area rugs can be correctly cleaned to look bright and fresh again. ServiceMaster Cleaning & Restoration Services understands that rugs can be costly and delicate, that’s why we give them special care and cleaning services unmatched by our competitors. Our team has the specialized knowledge and leading industry techniques to care for your area rug in the following New Jersey counties: Hunterdon County, Middlesex County, Mercer County and Somerset County.